June 1, 1992 — established of diplomatic relations between Kazakhstan and the Swiss Confederation. In 1993 were held the opening of the consulate of Switzerland in Almaty, which in January 1999 was converted to a Consulate General. Now is fully relocated the Embassy of the Swiss Confederation in Astana. In 1996 was opened the Embassy of the Republic of Kazakhstan in Bern. 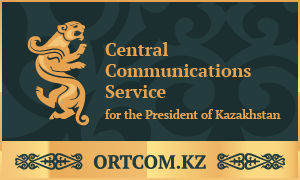 Since July 2009 — Extraordinary and Plenipotentiary Ambassador of the Republic of Kazakhstan to the Swiss Confederation is Mukhtar Tileuberdi. Since 2008 — Extraordinary and Plenipotentiary Ambassador of the Swiss Confederation in the Republic of Kazakhstan is Stefan Nellen. 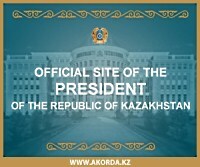 October 17, 1992 – establishment of the diplomatic relations between Kazakhstan and the Holy See. On September 2, 2008 Apostolic Nuncio in Astana, Archbishop Miguel Maury Buendia presented his credentials to the Secretary of State Kanat Saudabayev. On December 17, 2009 the Ambassador Extraordinary and Plenipotentiary of Kazakhstan to Switzerland Mukhtar Tleuberdi presented his credentials to Pope Benedict XVI in the Vatican.